ABOUT 600 Edith Cowan University staff joined this year’s Globetrekker Challenge, which aims to get people active. In eight weeks, 601 ECU staff in 123 teams walked more than 224,000km as part of the initiative. The distance equates to walking between ECU’s Joondalup, Mt Lawley and Bunbury campuses 1095 times or walking around the globe 5.6 times. The challenge encouraged participants to walk more than 10,000 steps every day for eight weeks to improve their health and wellness. 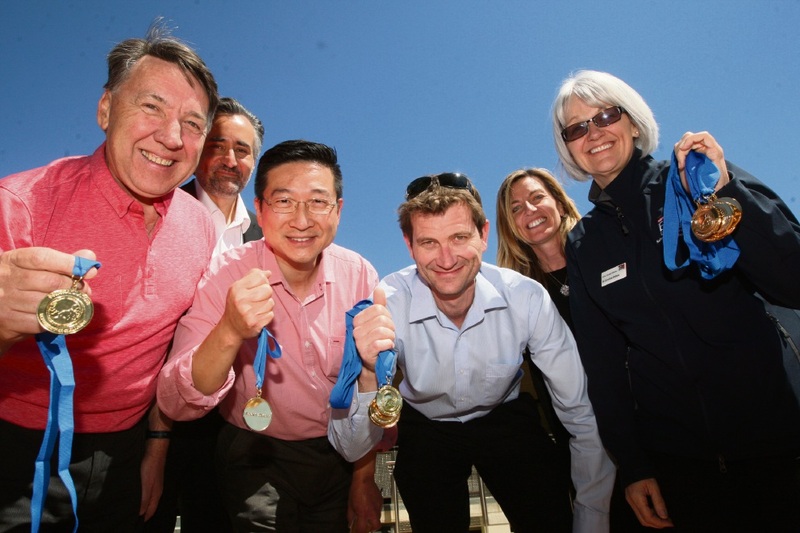 Gary Kong from the School of Medical Sciences was the most active individual, averaging 41,115 steps per day, totalling more than two million steps for the duration of the challenge. Mr Kong said he was often up at 4am going for walks, skipping, running, cycling or playing basketball. “It took extreme willpower to maintain such an active lifestyle for the duration of the challenge,” he said. A member of the team Collaborative Effort, Brian Lambert, from the IT services centre, did well, encouraging his team members to walk no matter the weather. They clocked up more than five million steps over the course of the challenge and as a team averaged 19,201 steps per day. Overall: Collaborative Effort from IT Services Centre averaged 19,201 steps with a total of 5,376,281 steps (captain Chris Cooper, Brian Lambert, Joseph Law, Julio Bachiller and Kim Ewen). South West Campus: Regional Focus averaged 11,055 steps with a total of 3,095,496 steps (captain Karen McCarthy, Barbara Lossel, Sue Tencer, Yvonne Treasure and Melanie Buhlmann). Mount Lawley: HotSteppers! 2.0 averaged 15,414 steps with a total of 4,315,962 steps (captain Caroline Bradley, Rebecca Hercykowski, Robbie Toye, Jill White and Jade Seahwon). Overall: Rottweilers in Lipstick from the School of Nursing and Midwifery who doubled their average over the challenge from 3144 steps per day to 7062 steps per day (captain Caroline Vafeas, Mandy Towell, Kylie McCullough and Linda Coventry). Overall: Gary Kong School of Medical Sciences from the Majik team achieved 2,302,459 steps – an average of 41,115 steps per day. South West Campus: Jenine Carter from the Stepping Ahead team achieved 862,686 steps – an average of 15,405 steps per day. Mount Lawley Campus: Peter Cowan from WTF – Witness the Fitness team achieved 1,470,143 steps – an average of 26,253 steps per day. Overall: Alexandra Cooke from ECU’s Psychological Centre from the Wanneroo Crew team improved her average from 4052 steps per day to an average of 15,573 steps per day. David Lamb from the School of Business and Law won the ‘Spirit’ award for making major improvements to his health. Mr Lamb had been very sedentary due to illness, lack of time and motivation to exercise. He now finds the time to go for a walk, has joined a gym, is eating healthier, lost weight, is sleeping better and has more energy.